The things many people take for granted, we hold dear. Morris Habitat for Humanity American dream of owning a home. The things many people take for granted, we hold dear. 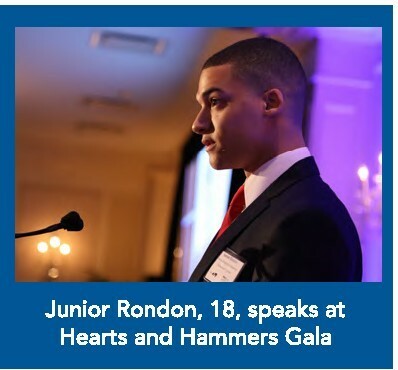 Junior Rondon tells his story. My whole life, I watched my parents, Gregorio and Gleny Rondon, work hard to provide a better life for their children than what they had. My father worked two jobs. He would leave the house at 6:00 a.m. and work until midnight. For 8 years, I only saw my dad on weekends. During this time, my mother worked in housekeeping at Morristown Memorial Hospital, then at a child care center that allowed her to take my newborn brother with her to work. This is what they did to make ends meet in America; it was our only chance at a better life after they fled the Dominican Republic. My father came here first, in 1997, and my mother arrived in 2001. They waited ten years for their green cards and permanent resident status, and then became American citizens five years after arriving in the US. Like all immigrant families here in America, they hoped to achieve the American dream of owning a home. For years, we squeezed into a small apartment in Morristown, while they saved every penny they earned toward a down payment. I remember my parents’ frustration as home prices escalated. “When, when, when are we going to get out of here?” my mother would say to my father. Even when homes prices dropped, my parents weren’t any closer to their dream. Instead, they struggled to pay bills and makes ends meet. They worried about our safety in the neighborhood, where drugs were around us every day. Then, my mother heard of Habitat for Humanity. We applied to start the process, and, in 2014, our prayers were answered. We were going be home owners! My brother would grow up in a safe neighborhood. When construction of our new home began, my parents – true to their work ethic – put in much more than the required 400 hours of “sweat equity.” They couldn’t stay away, because this was going to be our home. And now it is. My mother has a dishwasher. My father has a parking space, a place where he can safely put his car after a hard day’s work. And, on Thanksgiving, we invited our extended family to the first of many holidays and celebrations we will enjoy in our new home in Morris Township. For my younger brother Justin, our new home means he has a room of his own and has a quiet place to study and do his homework. He can play outside without being afraid. And he feels proud inviting friends over. He’s just 10, so Justin will grow up there. As for me, I may be leaving soon for college, but I won’t go far. I have earned a full academic scholarship to Fairleigh Dickinson University. I’m not sure yet if it will include room and board, but, if not, I have the option to go home to a clean and safe place. 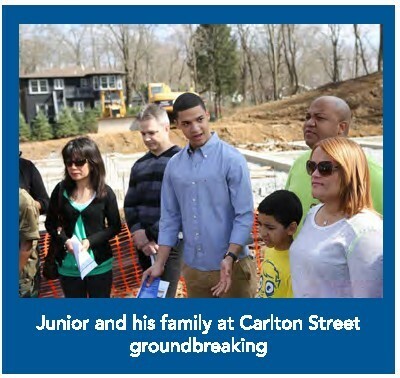 This home is the foundation on which my family can build our dreams. I will be the first in my family to graduate from college. My brother will certainly follow. We now have the same future as generation upon generation of other legal immigrants, and one day, we will be prepared to give back. I have learned that this great country only fulfills its promise of the American dream when everyone has a stake in it. I pledge to be generous with what I attain. Please consider joining me in making a financial donation, of whatever you can, so that the next family can build the foundation to achieve their dreams. Go to the Morris Habitat website for more information.